Behind the Scenes of the Luxury Hotel, Vila Vita Parc in Algarve ⇒ Who is curious to learn how a luxury hotel works behind the scenes? 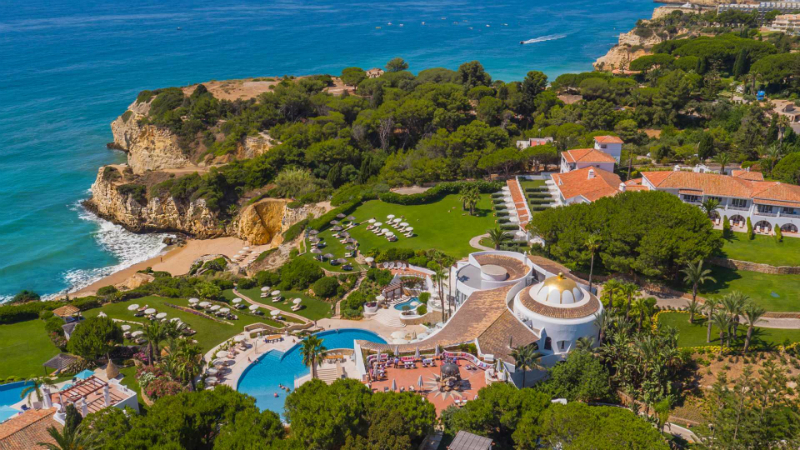 CovetED Magazine had the excellent opportunity to spent an entire week at one of the best Leading Hotels of the World, Vila Vita Parc, in the beautiful shores of Algarve. 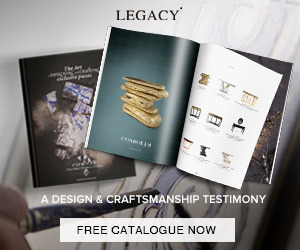 In this article, you’ll get to see a series of exclusive interview that we did with staff members, so take a look and contemplate visiting this five-star hospitality design! “I love the contact with the guests and the reception, from the perspective of the guests, is where everything starts and where everything ends,” this is the sort of enthusiasm that Ariana demonstrates when she’s working putting her expertise and passion for communication and hotel business in good use. Vila Vita Parc offers all the expected privacy and more as well as being equipped with the most ostentatious and well-appointed facilities and personal services. A stay in one of their villas is facilitated by the work of personal assistants who do everything within their means to ensure one’s needs and desires are completely fulfilled. CovetED also had the opportunity to speak with Jorge, one of the main assistants, who told us a lot about the extraordinary and attentive processes that go behind this service. Although Jorge has only held this position for a short period, he is already one of the most distinguished members of Vila Vita, mostly due to its positive attitude and energy, motivation and his impressive ability to separate personal from professional. Comprised of six assistants, this team is relatively young. However, sometimes this causes a bit of curiosity among guests, which immediately evaporates when they see the knowledge and expertise of each member. 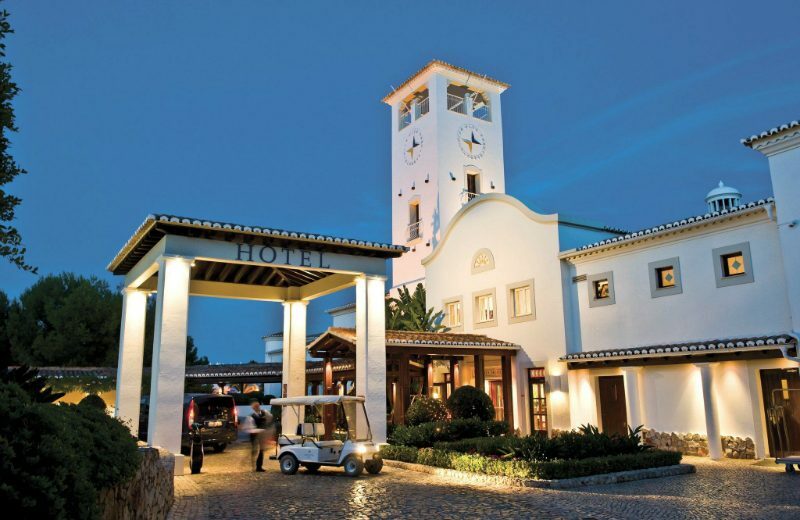 All the services available at Vila Vita Parc are interconnected, the resort shows an unequalled union and an efficient exchange of information between teams, that really makes it possible to offer an unforgettable hospitality experience, as Jorge asserts, “We always have all the teams together in the transition of shifts. Imagine that a client, let’s say from a normal room or a villa, tells a staff member that the guest does not like nuts, it’s not a question of allergies, but they simply do not like nuts. That person has to pass on this information to their boss and he then forwards the email to all departments and teams of the hotel,” it is this type of attention to detail, taste for quality and ambition to satisfy the guests’ needs that makes Vila Vita Parc one of the most prestigious luxury resorts in Portugal and the world. The resort reveals a clean and stunning ambience that is further enhanced by the supervisor of housekeeping, João Fonseca and his team. CovetED had the delight to talk with João Fonseca about the impeccable service that they offer to every guest. The housekeeping service of Vila Vita Parc is transversal to all other rendered services. 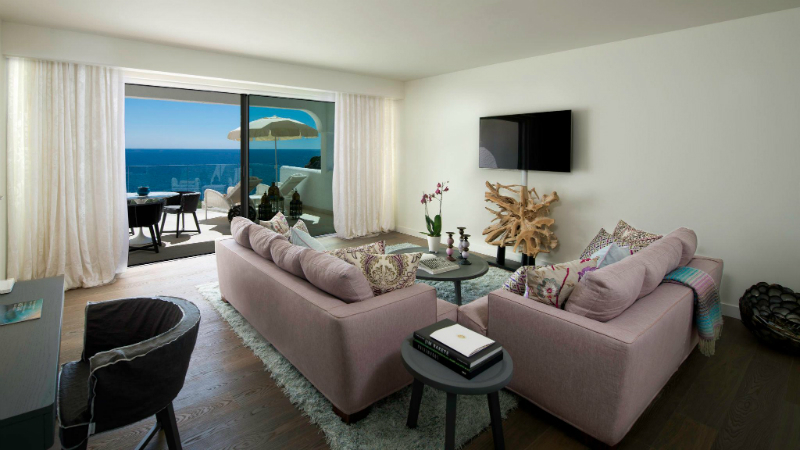 For instance, Fonseca mentions Vila Trevo as one of the best domains of the hotel in regards to specialised services. This luxury property allows guests to have the whole experience of the hotel within this villa, that includes extremely well-appointed entertainment areas, such as a swimming pool, a gym and spa. Fonseca yet asserts that, “We outline guests’ profile with what they like and what they don’t like, so next time they visit us, the entire experience will be shaped in accordance with their wishes, even those that they did not tell us about but we noticed during the first time they visit us, this way you provide a new WOW experience.” As a whole, the hotel seeks to constantly anticipate the needs of its guess, always trying to go beyond the conventional. Through powerful relationships and a strong communicative bond between the housekeeping staff and the personal assistants of the villas, the hotel has the ability to provide the best experience possible. The collaborators are trained and always have the care to comprehend every request made by the guests so that the hotel really offers what they are truly looking for. In order for this to occur seamlessly, teams are organised in a way that some individuals are regularly assigned to a certain area of the hotel. This allows for a more efficient assistance towards a guest stay, from beginning to end. Vila Vita’s housekeeping team is comprised of more than 100 collaborators. The supervisor still adds that “there is a structure set up to supervise and guarantee the excellence of the service, which is led by D. Fernanda Silva who has the support of several supervisors in various points/areas of the resort.” Naturally, this service is regarded as one of the best housekeeping structures in the national panorama, not only due to its impressive administration but also in terms of experience. 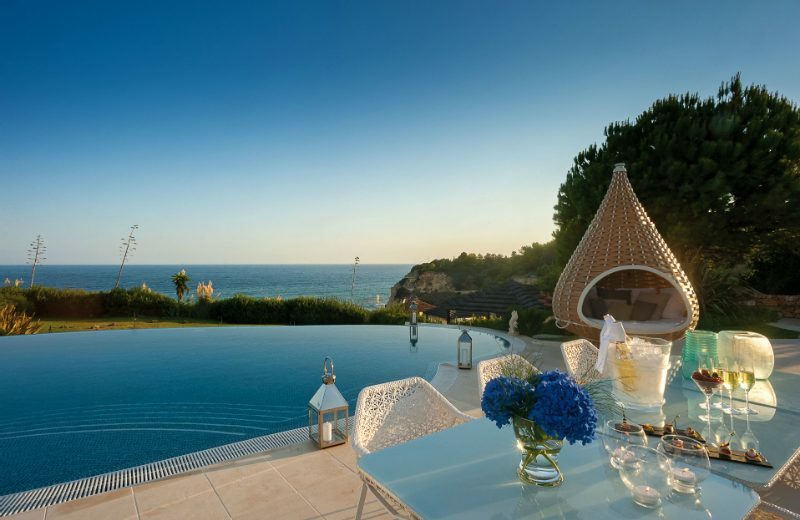 Vila Vita Parc is rightfully considered one of the best luxury resorts in the world mostly due to its incredible Moorish-influenced architecture and being nestled in the dramatic coastline of the Atlantic ocean. However, one of its most impressive features is its landscape design that actually comprises about two-thirds of the resort. Now, get to know the work of Luís Correia and the luxurious essence of Vila Vita Parc, in an exclusive interview. 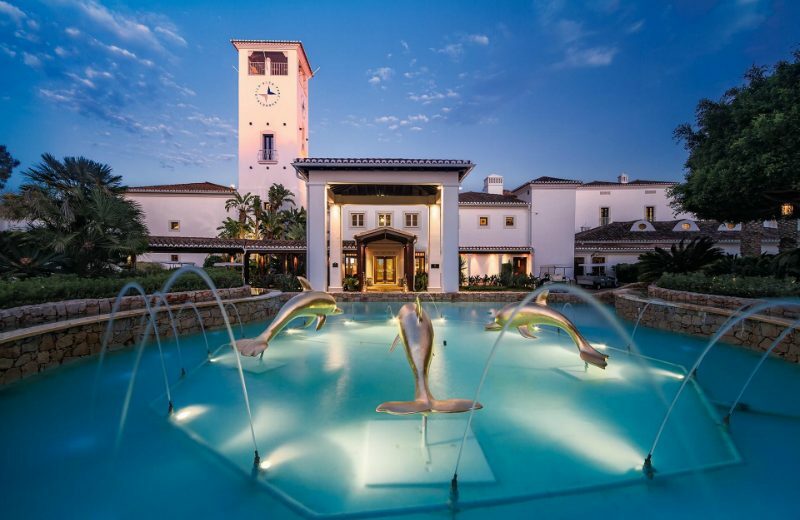 Luís Correia started working at the extraordinary Vila Vita Parc 13 years ago. Since that moment, and with the assistance of another 37 gardeners, who are also passionate about this wonderful art, gave origin to some of the most exquisite landscape designs, as he explains “what we do is the part of gardening, the maintenance of the entire garden, of the lakes, cleaning the streets nearby, caring for animals such as swans and ducks …” Vila Vita Parc’s gardens are comprised of a diverse selection of colours, aromas and shapes. There is a massive diversity when it comes to trees and green areas, from palm trees to bushes as well as flowers. One could say that the five-star deluxe resort almost acts as a botanical museum, brimming with life and excitement. 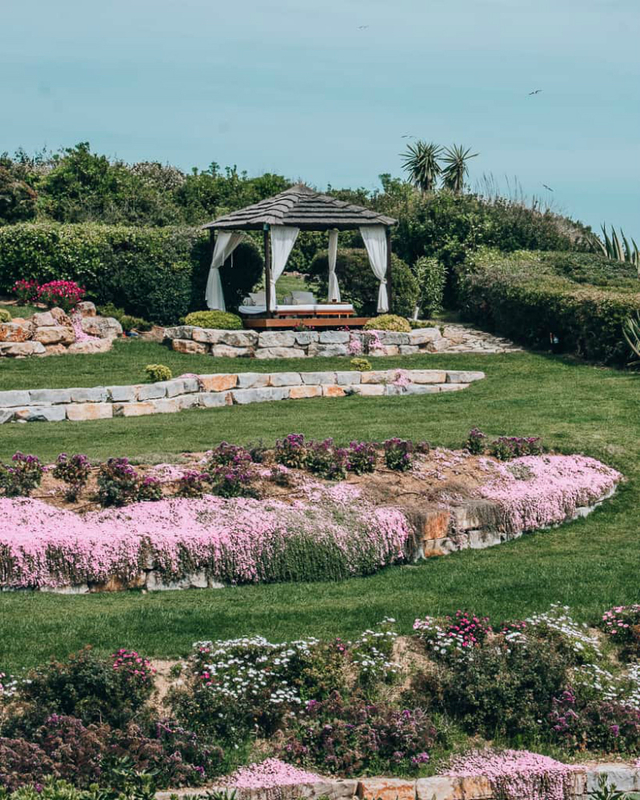 According to the proficient gardener, one of the hotel’s areas that gave him the utmost satisfaction in working and that best portrays his signature style was “the area of the loungers, next to the cliff … it was completely different”. This is authentically one of the most distinguished and beautiful areas of the hotel due to its natural beauty and biodiversity. In addition, the luxury resort features more than 800 palm trees of varied nature as well as over 80 species of plants. Luís Correia highlights the “Árvore do Fogo” (otherwise known as Flame Tree) as his most beloved. To Luís Correia, this burning passion for plants and green spaces has been there for quite some time, as he discloses, “I’ve always enjoyed working outdoors … One has to really enjoy what they do, otherwise, if they don’t, then there’s no point in doing it”. Regarding the beginning of his career, Correia reveals that “I started by helping constructing golf courses. I was a year in the Azores expanding a course that already existed and then building a new one.” Afterwards, he went on to work on a marine zoo where he had similar responsibilities as he has now in Vila Vita Parc. 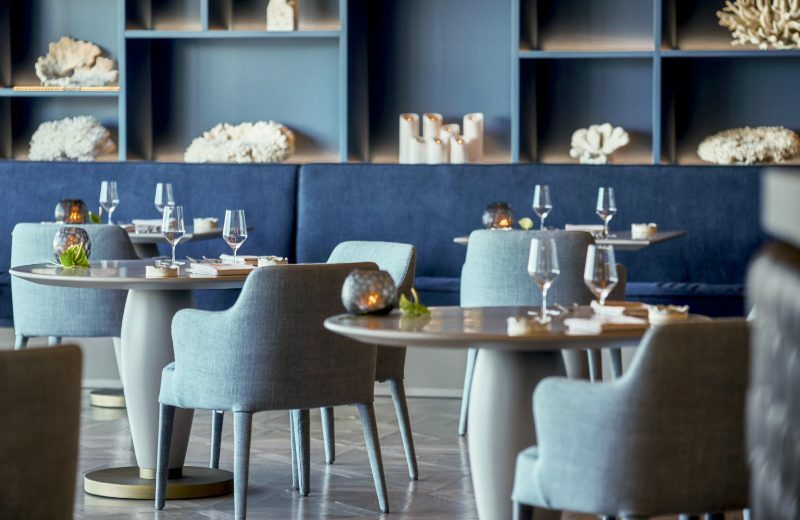 Besides, the highly curated interiors, phenomenal landscape design, outstanding architecture and access to private beaches, Vila Vita Parc, one of the leading hotels in the Algarve, houses yet a mesmerising Michelin-starred restaurant that is simply divine! Ocean! 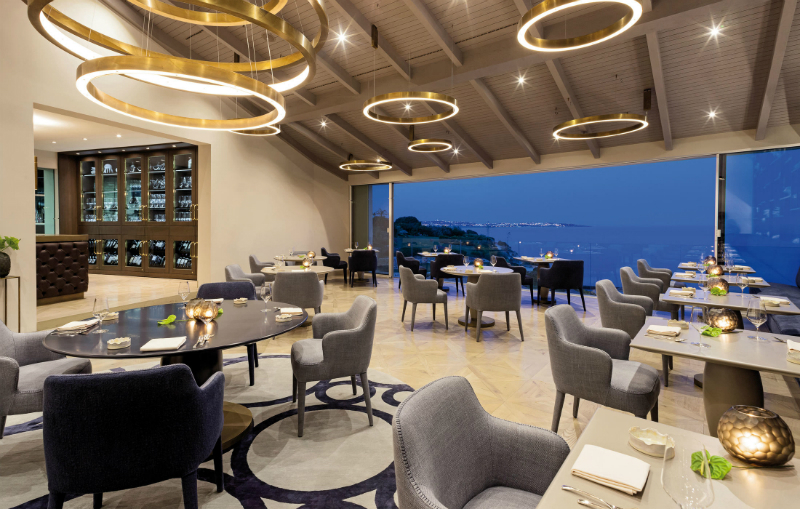 Offering a mouth-watering dining experience, the curated seasonal menus of Ocean are prepared by Austrian Executive Chef, Hans Neuner, who since 2007, has been managing the kitchen creating some of the most exquisite dishes in the world. Freshly-caught seafood is one of the main specialities of the restaurant while organically-raised meat from the resort’s own farm also seems to steal the show. 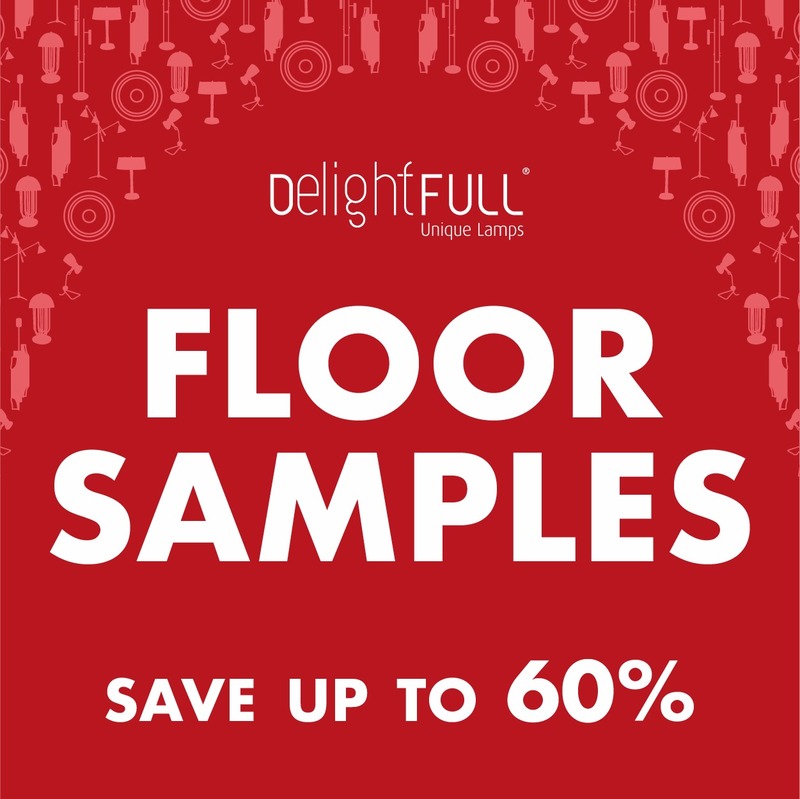 The peacefully casual yet extremely elegant interiors are also another knocked-out. Blue and gold are certainly some of the most dominating palettes in the restaurant, reflecting a serene seaside-inspired design while elements such as corals on Ocean’s side walls and Murano crystals in the form of medusas by the entrance, definitely giving an interesting twist to the overall atmosphere of the restaurant. 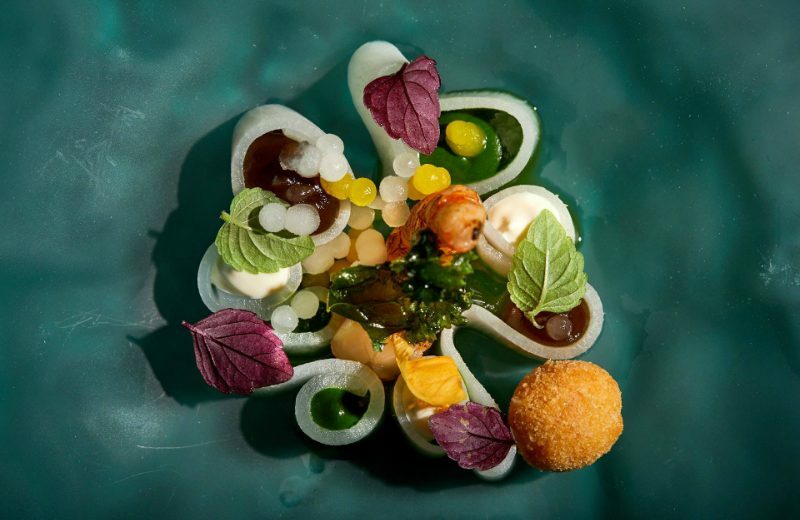 Hans Neuner came to Portugal 10 years ago, and since then, he has faced many challenges to make Ocean and his culinary skills known worldwide. 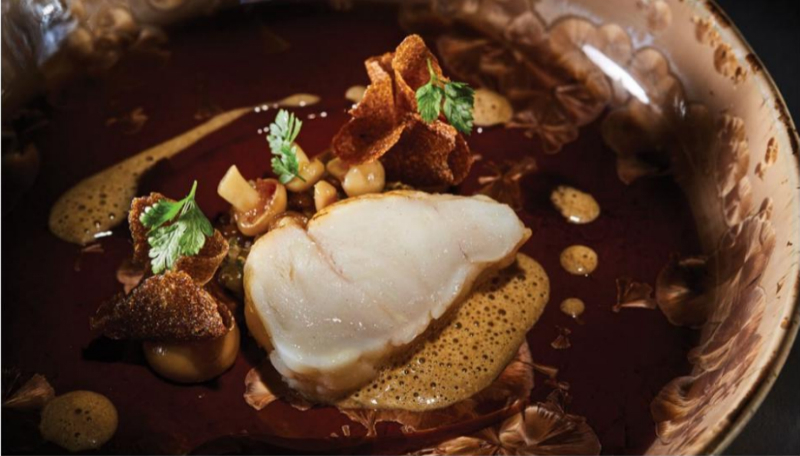 The dining scene in Portugal is quite different from what the chef was used to in other countries, as he discloses, “In the first years, to be honest, everything was a little bit slow compared to Germany or Switzerland. It took a little bit more time, we needed to learn.” Now, his team is a lot bigger than before and provides the most scrumptious dishes. 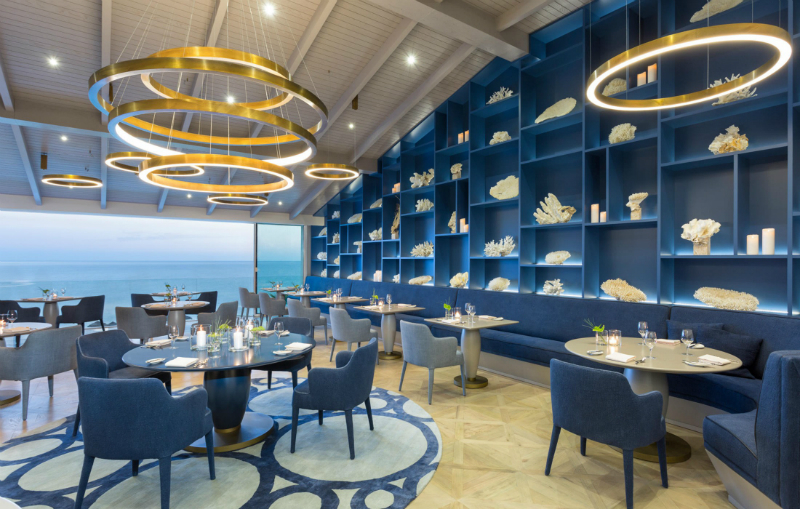 Neuner and Ocean’s mission is focused on being recognised by the prestigious Michelin Guide as well as providing guests with the ultimate dining experience. It was four years ago that they were awarded their first star. The second one came two years later. Both were a delightful surprise and a source of pride for those involved. According to Rodrigues, guests normally ask for something that is best suited to their knowledge and reality while wine connoisseurs tend to listen more to the sommelier’s recommendation. When asked if the restaurant had a predefined system regarding the selection of wines, Ricardo thrillingly answered, “since we’re the ones that do the list, we already know that we’re going to have a particular profile of wines from a particular style or compare it with something from outside.” He furthers adds that Portuguese wine is the most sold because people want to experience something local. Moreover, the relationship between the chefs and service staff is extraordinarily peaceful, the former allows the latter to taste the dishes in order for them to pair it with the best possible wine. We were curious about what Ricardo would consider what would be the perfect night for a sommelier of a two Michelin starred restaurant to which he answered, “Having tables with wilder, more challenging requests. 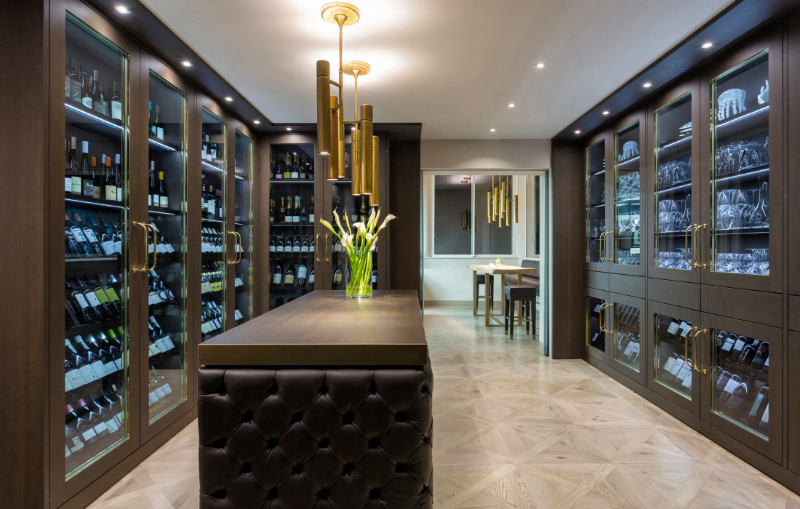 That the client leaves happy and likes the experience.” The restaurant’s wine cellar is filled with references from all over the world, including Portugal, France, Spain, Italy, Austria, Germany, some from Slovenia, New Zealand, Australia, Chile, Argentina, USA, South Africa. Lastly, we were eager to know what was his favourite kind of wine, “I’m a big fan of wines from Burgundy, whites and reds, due to the fact that they’re elegant but still a bit rustic. In Portugal, at the moment I’m really loving the new generation from the Dão region. They’re wines with more volume and body, but always refined and fresh.” Ricardo also disclosed that nowadays the market is more focused on wines with more freshness and elegance but that have the ability to evolve with time. 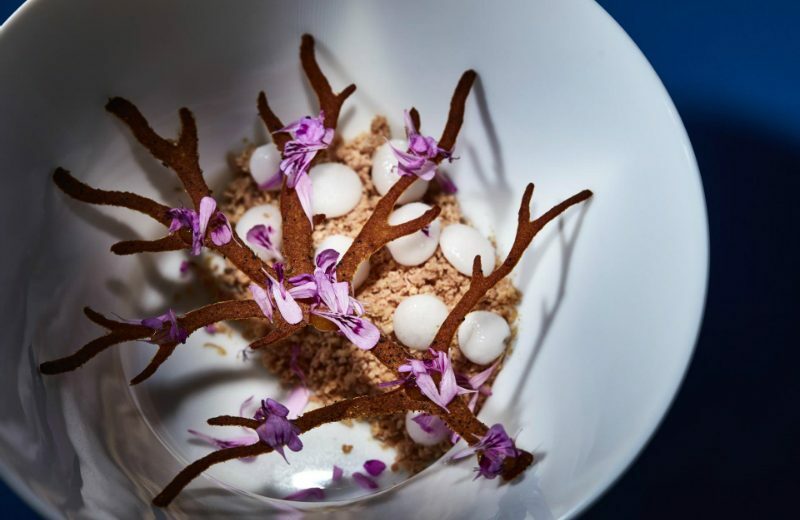 Rui Pinto has been working at Vila Vita Parc for almost three years, having previously worked on several restaurants in England, Australia and Ireland, so he has been in this industry for quite some time. When we were talking to Rui we actually had the opportunity to see him do his magic as he was preparing the base for Açorda, a typically Portuguese dish. When asked what is the main challenge that he faces every day, Rui answered, “To do better. To get to the end of the day and understand what went well and what went wrong.” He also shared kind words about the impressive leadership skills of Chef Hans Neuner, “He’s really creative and he’s very good at delegating his team. That’s something that takes time to learn.” Furthermore, Rui values the importance of using regional products in their dishes as it honours our culture, history and national identity. Before presenting a dish, a lot of thought goes into its creation. 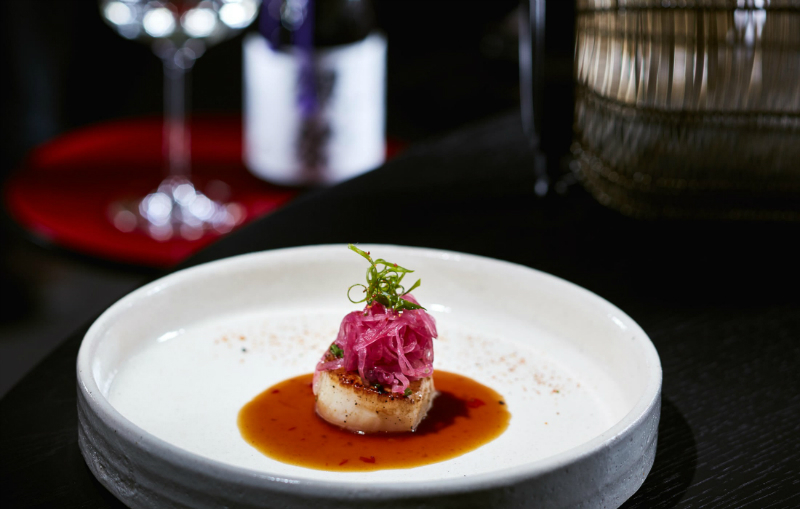 According to Rui, the team often leaves everything ready before the evening in order to provide the best dining experience possible and be ahead of any possible challenges that may appear. We were also curious about the process of creating new dishes to which Rui responded, “It’s spontaneous, it depends on the time we have, the people and the produce.” Nevertheless, Hans Neuner and the team are careful when presenting new dishes to guests, there is a lot of experimenting that goes into this before actually delivering because everything has to be perfect until the very last detail. 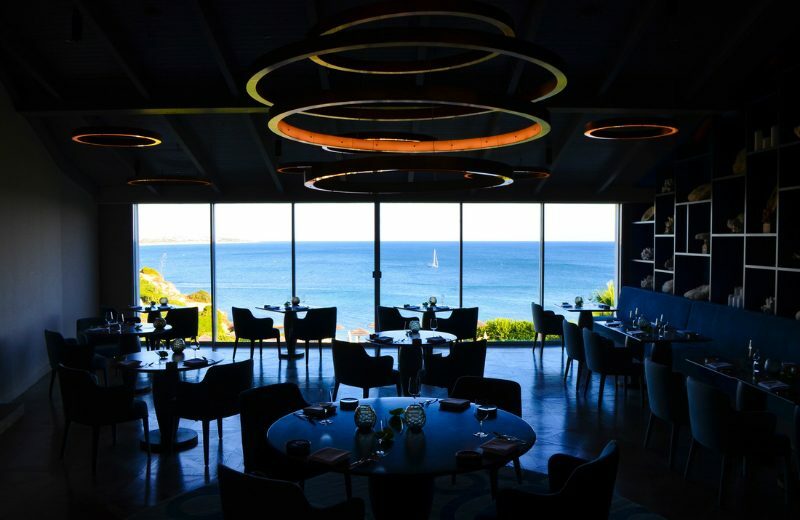 Ocean, the signature restaurant of Vila Vita Parc, provides a grandiose fine-dining Michelin experience not only due to the amazing skills of the chefs but also the attentive staff that guarantees that each person leaves the restaurant fully satisfied and craving for more. When we were visiting the resort, we had the opportunity to speak with Tiago Gomes, who is in charge of the supervision of the restaurant and has quite the experience in the hospitality industry. Now a proud of Vila Vita Parc’s team for about a year, Tiago worked for ten years at the Caprice Holdings in London where he improved his craft immensely and experienced a bit more of a whole new cultural world. His resumé is certainly impressive as he took a few courses of table service and bar, then he got a degree in hotel management and he also took numerous wine and sommelier courses, making him one of the most well-rounded collaborators at the resort. 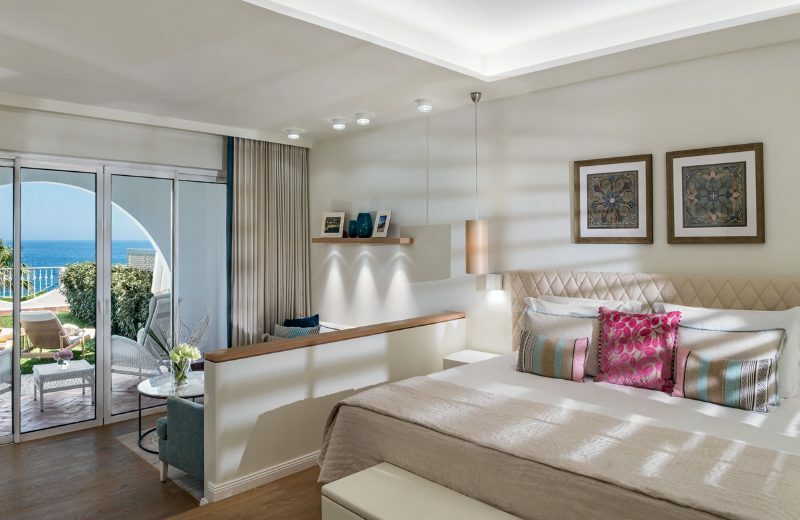 Tiago returned to Portugal because he felt like he wanted to embrace a project in Portugal, a more personal one, one closer to his family and Vila Vita Parc was clearly the perfect fit, as he explains, “I wanted to embrace this project because Vila Vita is a unique hotel unit, whose purpose is the satisfaction of the client,” assures the supervisor. The experienced supervisor also talked about his responsibilities within the restaurant. Tiago is the restaurant supervisor and his job starts backstage where he has to know what will be the operation of the day or if there are any special requests, “In my day-to-day life, I supervise the operation, to see if the standards are being followed. I also receive and give feedback and support the teams during service,” discloses Tiago. The most fascinating aspect about Tiago’s work is his ability to organise everything extraordinarily well in order to be where he is needed the most, for instance, if a chef needs his support or if there’s a need for updates regarding guest relations, he is always there to give them. In addition, what he likes most about his work is the interaction with clients and even the product itself. “I think it’s a bit personal, you’re born with it and it can be encouraged or not. It also has to do with my education … We know that in our country, especially in the Algarve, tourism is the biggest production and work segment. The taste was natural, but I developed it,” explained Tiago when asked about how his passion and interest in this sector came to be.